Saracen Interiors has rounded off a successful year, which has included a significant rise in the number of London fit out, facilities management and move management contracts it has secured, with the completion of a £120,000 fit out and move management project for a Shariah trading investment bank on Old Broad Street. The project covered alterations to a meeting room space, to create two further meeting rooms, a prayer room and additional managers’ offices plus the reconfiguration of open-plan office space to accommodate an additional 20 members of staff. Work included the fitting of carpets and glazed screens and the adapting of existing door modules and storage cupboards. The leading workplace consultant’s Move Management team has overseen all packing, the reconfiguring of desks and the alteration of sprinklers in line with the revised layouts of the new meeting room. All liaison with the landlord regarding alterations and the detail of the actual move has been undertaken by Saracen freeing the bank’s time to continue with day-to-day business activity. Joint managing director of Saracen Interiors, Michael Page believes that the key to the company’s success in the City lies with its sensitivity to the needs of its clients and its ability to carry out fast-track projects while maintaining a live working environment: “Every effort is made to understand and protect the client’s business which means that, as well as providing working environments that meet the client’s requirements, we ensure that it’s business as usual where possible. In this instance, that has meant completing all work during the night and at the weekend in order not to interrupt the working day. 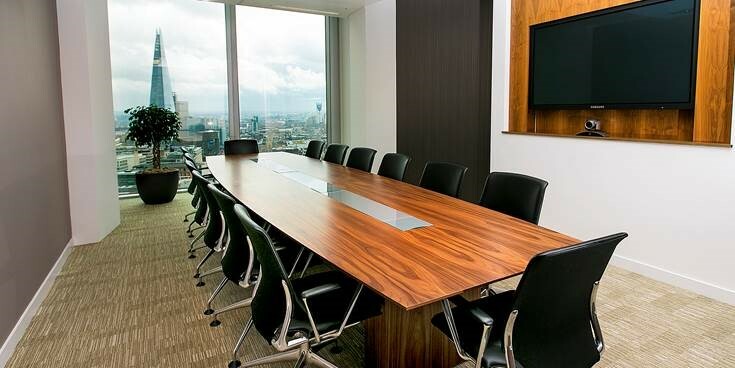 Over the last decade, Saracen has built a strong reputation with London-based clients, working across a wide range of commercial projects from multi-million fit outs to facilities management contracts and the negotiation of office moves. The company has a proven track record in improving workplace efficiency and corporate standing with its tailor-made, cost-effective solutions. The company recently won a prestigious AIS (Association of Interior Specialists) Gold award for its refurbishment of Royalty House, the old Hertfordshire Primary Care Trust building on King Street, Watford. It was also shortlisted for the Northern Design Awards in the Commercial Interior Design Practice and the Innovative Design categories for its work in Yorkshire. Recent clients include Yum Restaurants International, Paragon Community Housing Group, TE Connectivity, Aspect Property Group, Flight Safety, CH2M Hill, Countrywide PLC, Knight Frank, Mitie Engineering, Pizza Hut, Redrow, Soccer World, Thames Water, Toshiba, Trident Trust, Viatel, BAE Systems, Sue Ryder Care, Sandhurst School, North Surrey Primary Care Trust, Royal Berkshire and Battle Hospital NHS Trust.